Hello, Forgive me as I am sure this has been talked about here but I could not locate any topics on it. 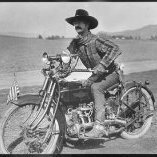 I am looking to get back into the Cowboy Action scene and so I am wanting to pick up a 73. I am by no means a speed shooter. Just like to have fun. 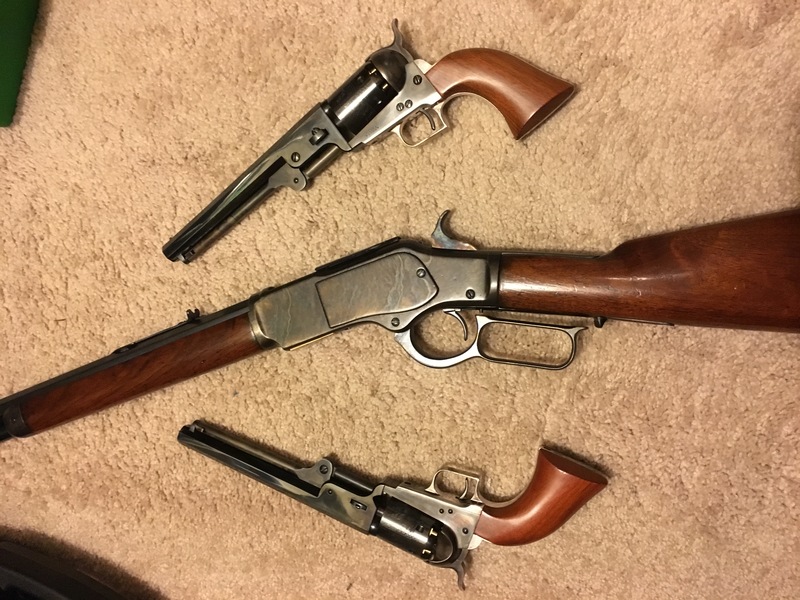 I have had a couple Uberti made 73s in the past. A carbine and a 24" rifle. This time around I have been thinking about going with a new Winchester 73. I really wish they made a 20" version with the Octagon barrel but it seems their short rifles are all round barrel so it would prob be that version if I get one. Are there any drawbacks to the New Winchester 73s? I assume that they can be short stroked also in the future. We don't have any gun shops in my area to get to handle them first or I would do that. Does the short rifles with the round barrel handle well? Looking for any pros and cons on one over the other. Thanks. Will watch it now. Any in 44WCF that need a new home? Not in a 73. Have a Winchester 66 20” in 44-40 I might sell. I do have a 73 44WCF but not for sale. Had a little scare with a 66'; haven't worked up enough nerve to get another one. I know what you mean Tyrel. has not happened to me yet but sure can see how it can running it fast. I use the 66 for deer and coyotes and some medium range stuff in side matches. Pretty dang accurate. I have a 20" octagon Uberti and a 20" round Winchester. 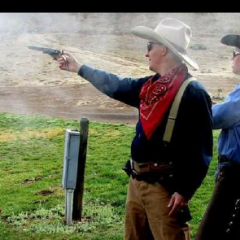 I like the Winchester better for handling, lighter, easier to swing, but the Uberti looks better. I have a 20" octogon 73 Uberti Codymatic. Love it. And the case colored frame and side plates is prettier than the all blue Winchester. 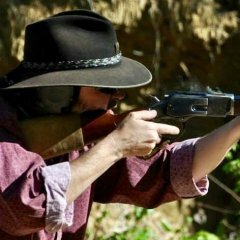 I just purchased a Miroku Winchester 73 in 20" round and have shot two matches with it. Absolutely love it. I am a high two second/ low three second rifle shooter and almost right away I can run the Winchester neck and neck with my Uberti. * Take the Ford F150 truck level springs out and spend a little quality time on the bench grinder thinning the lever springs and hourglassing the mainspring. * Lever wrap and cut the buttstock square. I'm putting another Winchester in layaway on Monday. Thanks for all of the answers and info. Looks like the Winchester is a very nicely made rifle. 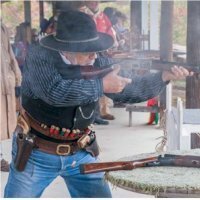 I wasn't too crazy about my Uberti carbine. It wasn't bad but I liked my Uberti 20" oct. barrel rifle better. I really like the look of the short rifles with the Oct. barrel. Which ever I do decide on will be the Case Hardened version. Onlyest thing I've heard tell of..
Winchesters.. Short stroke kits are kinda hard to get.. Seems I hear they are always changing the spec's on the Winchesters..
Also heard aftermarket parts are harder to get on the Winchesters.. I have 2 Winchesters, one is short stroked and the other is not. There's not a great deal of difference in them. The Winchester comes from the factory with a very short stroke and is good to go right out of the box. Little to no machine marks on the rifle anywhere unlike the Uberti that is rough to say the least. The round barrels swing much better than the ones with the flats, something to do with wind resistance and a sail effect of the flat spots when being moved fast. Actually its more to do with how long the barrel is. PS: parts are not hard to get and the spec's are not changing. The short stroke kits are drying up mostly because Winchesters are short out of the box and a little shorter just ain't worth the bucks. A new Winchester '73 done by Cowboy Carty. If Deuce Stevens loves it, that should tell you everything you need to know. I owned a Winchester in .44-40, my gunsmith had a heckuva time getting a short stroke to fit, 3 different links were sent, he finally had to fool with the last set and it worked. I later got a Winchester 66 in .38 spl and it was stiff as all get out! I'll stick with the Uberti's and a Cowboys and Indians short stroke thank you very much! There is a legend that Winchester Miroku 73 parts are hard to get but I haven’t heard any first person stories supporting that. I’ve got a Marlin, a short stroked Uberti 66 and 73 and a Miroku Winchester 73 with a basic action job, all done at Longhunter. I default to the Miroku when I want to shoot fast. I bought the Winchester Miroku 73 last. If I’d bought it first I might not have so many rifles. Made in New Haven Connecticut, this is a Winchester. Okay, okay... I do have an Uberti made Henry and a 66, but not a 73, and they are good guns. Not handled the Japanese made Winchester, but I've not heard anything bad about them. 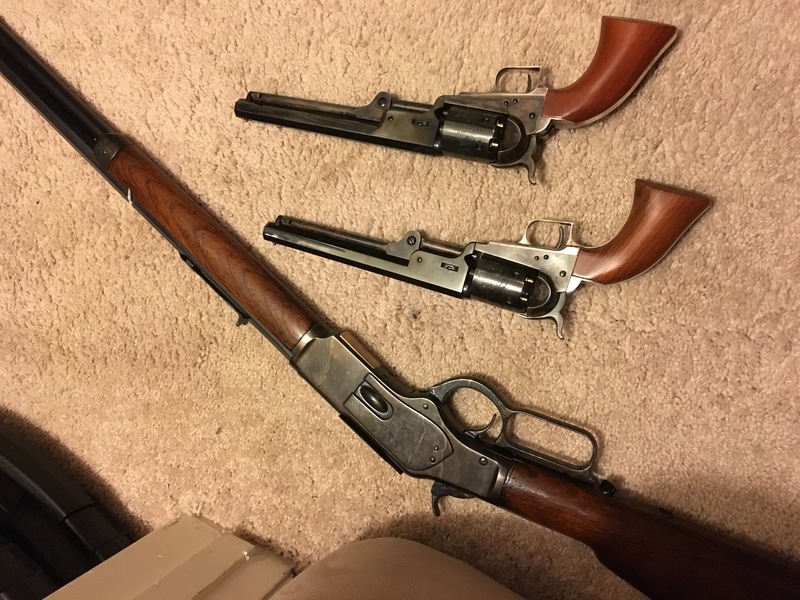 The Uberti's are not as expensive, which is a plus in my book, but in the end, go with what you like. Don't waste your aggravation on something that you only think is going to require much work to get it where you want it to be. Get one that is already there, or that you can at least accept as is. Only you can determine exactly what that is. Go with the Winchester. You won’t regret it. I’ve heard some folks claim that the Winchester is way to pretty to be tossed around like we do in this game. I’ve had mine a couple of years now and bang it up pretty hard yet it still looks almost new. I had an uberti 73 and someone accidentally set an unloaded ruger vaquero on my rifle stock. It left a dent the shape of a cylinder. That’s what 40 ounces? The wood uberti uses is quite frankly barely a step up from trash wood. 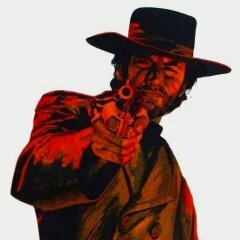 I think out of the box no doubt the Winnie...…..if you want to heavily modify the rifle get the Uberti because the network is vast and already in place. The Win might be that way one day and then it would be hard to beat but right now it's not there yet. I've had both. The Winchester was very shootable right out of the box. The Fit and finish was good too. Parts were very scarce at the time, I don't know if that has changed or not. I prefer Short Stroke kits rather than the Cut and Wield method. The only "Drop in" Short stroke kit I could find was made by Pioneer Gun Works and they have stopped building them. For playing this game... I choose the Uberti over the Winchester... I also choose Rugers over my Colts. JMO and choice. Now that sure is a thing of beauty and wish I could find a good shooter at a decent price around here but they are all pretty steep. Thanks again for all of the great points and opinions. Exactly the kind of info I was looking for. All these videos and endorsements are making me seriously consider getting a Winchester. I don't really 'need' another 73 but they do look and sound nice. Cap’n, you do need a Winchester. LOL. Champagne tastes on a beer budget. We already have main match guns for four shooters. I'm thinking my next set of cowboy guns will be .45 caliber which I'll use as dedicated BP guns and also for Classic Cowboy should I decide to try that. Do these Winchesters come in .45? Edit. Never mind, I just looked it up and they do. LOL. Champagne tastes on a beer budget. We already have main match guns for four shooters. I'm thinking my next set of cowboy guns will be .45 caliber which I'll use as dedicated BP guns and also for Classic Cowboy should I decide to try that. Do these Winchesters come in .45? Yes, they come in .45 which is what caliber I shoot and like. Even better, they come in 44-40, which you’ll want if you do decide to shoot BP. You gotta keep your eyes open and frequent many different gunshops. 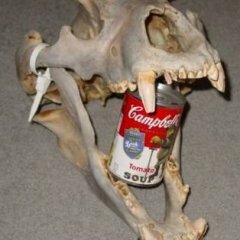 You never know what you'll find. I got this one about 12 or 13 years ago, and it cost me 1700 bucks. At the time, I thought that was a reasonable price. It's a .32-20, which may have contributed to it's cost. To this day, I find that any vintage rifle, be it made by Colt, Winchester, Marlin, or whoever, tends to cost less in this caliber than an otherwise identical gun in .44-40. There is a "rough spot" in the bore, but the think is a tack driver for accuracy. 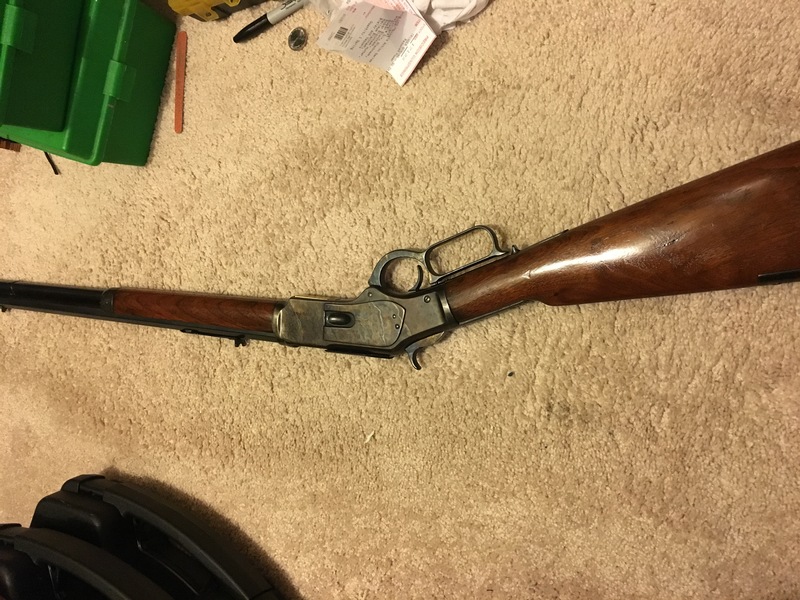 Having a real Winchester '73, if you can find one that's affordable, it well worth the effort. No short stroke, no customizations of any kind. Just as it came from the factory oh so many years ago. Was showing it to a pard in Michigan a few years ago who'd never held a real one before, only slicked up, short stroked Uberties. He thought it was broken cuz he couldn't work the lever. I chuckled. Sounds like a beauty of a rifle now.